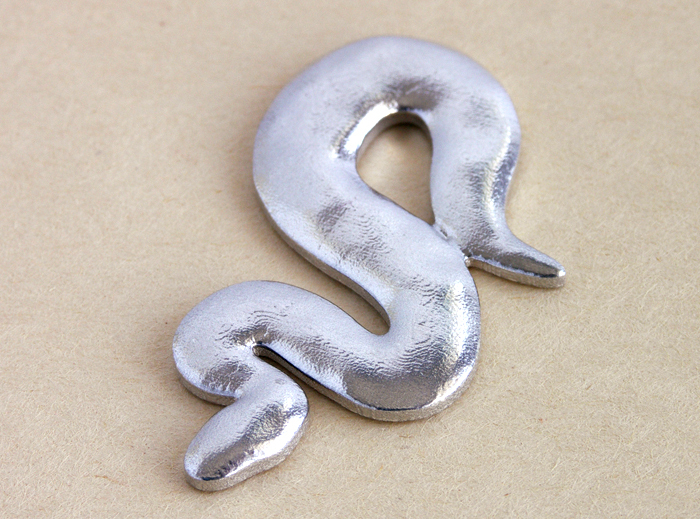 I modelled this snake and had it made in .925 Sterling Silver. 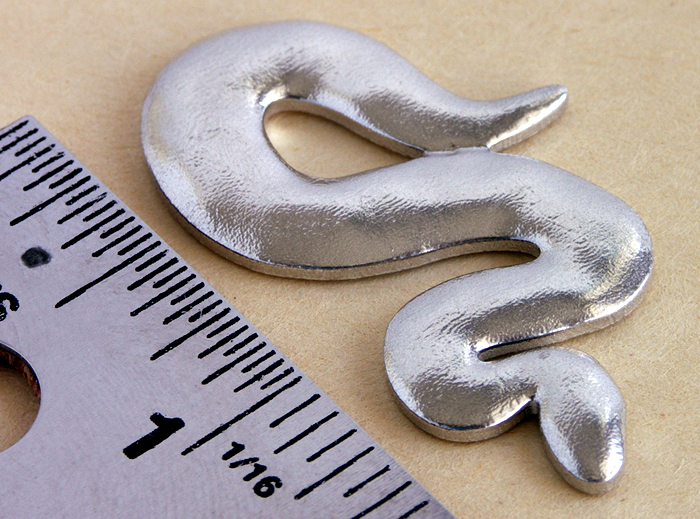 It is 4.1 cm’s long, 2.4 cm’s wide and 3mm thick. 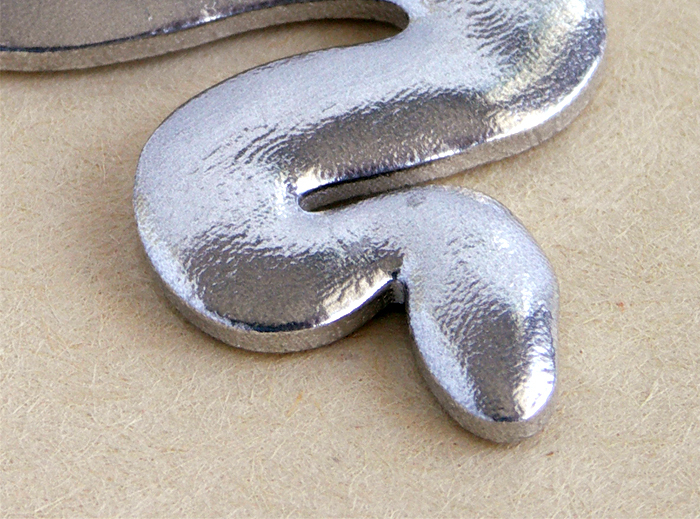 The surface is lightly undulated and textured.